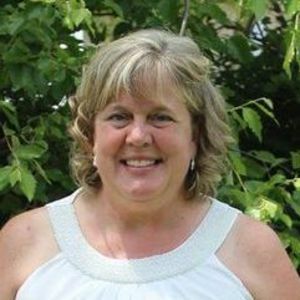 Sharon D Fales, age 52, passed away peacefully on Friday, November 10, 2017 at Spectrum Health Butterworth Hospital. Sharon was born in Grand Rapids to Jack and Mary (Burmania) Walburg and was the oldest of three children. She had a fond love for gardening and going on motorcycle rides with her husband. After graduating high school, she attended Hope College in Holland. She worked for many years at Providence Health Care in Zeeland and for the past few years at Holland Home. Sharon will be remembered as a bright, shining light to her family members and the elderly community which she lovingly served. Sharon will be lovingly remembered by her husband of three years, Bill, her children from her first marriage, Jenna (Adam) Houghton and Allison Tooker and her stepchildren, Matthew, Madison, and Brianna Fales. Sharon will also be fondly remembered by her granddaughter, Brigitte Tooker, by her mother, Mary (Burmania) Walburg, and by her sisters Amy (Kipp) Bertke and Julie (Ryan) Visser. Sharon was preceded in death by her father, Jack Walburg. Funeral services will be held on Wednesday, November 15, 2017 at 2:00 pm at Yntema Funeral Home, 251 S State St, Zeeland with Pastor Brad Langstreet officiating. The family will greet friends at the funeral home on Tuesday, November 14, from 1:00-3:00 pm and from 6:00 to 8:00 pm. The family would like to extend our gratitude to all the staff at Spectrum Health Butterworth Hospital in Grand Rapids, specifically those on 5 North for their attentiveness and loving care. Memorial contributions may be made in Sharon's name to the American Cancer Society. Add your thoughts, prayers or a condolence to Sharon's guestbook.